The Rosario Field Classroom opened for the first time in July 2016. It is brand new, and FREE to check out. 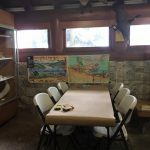 Come see the different ecosystems in the Park, ask a naturalist questions, see and touch specimens of common plants and animals, let your kids draw on our craft table, or curl-up with a good book! 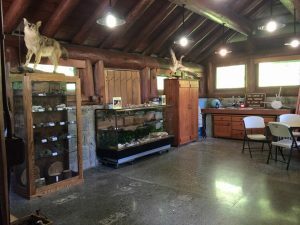 From May until the end of August, the Classroom will be open Saturdays and Sundays from 12-4pm. 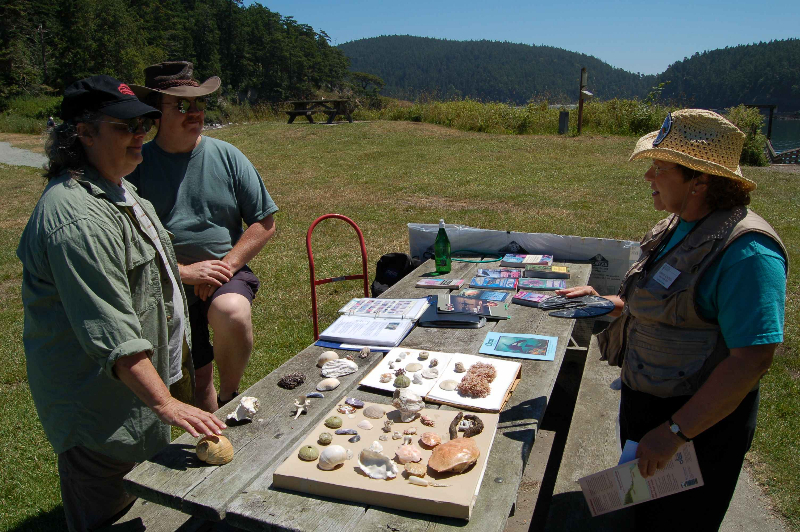 The Deception Pass Park Foundation is proud of all the handwork and expertise that has gone into the Classroom. 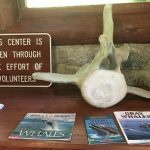 It is open and staffed by our dedicated volunteers, and naturalists in our Beach Naturalist program. 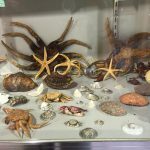 A huge thank you to the Sound Water Stewards for volunteering their time, pictures, and neat items for display; Mary Jo Adams, a local photographer, for donating pictures and posters; local taxidermist and Foundation member, Matt Klope, for most of the animal specimens; Sammye Kempbell, director of the Beach Naturalist program, for the marine invertebrates; Maddie Rose, a wonderful volunteer, for donating children’s books and her time.